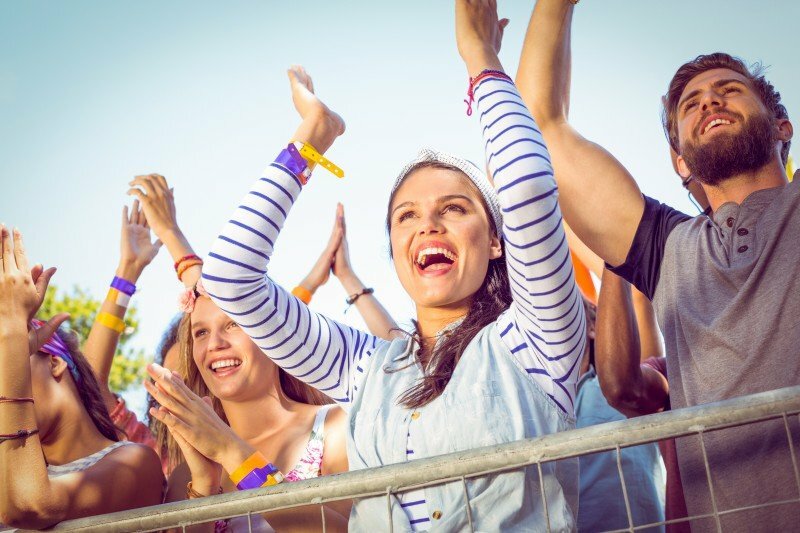 If customer satisfaction is not enough, how do we create fans? Let’s look first at why customer satisfaction is not enough. Or certainly no longer enough. Satisfaction used to be the standard. People used to be perfectly happy with ‘satisfied’. But something has changed. In fact, a number of things have changed. The competitive landscape has changed. At the beginning of the last century, we were in the age of the product, with mass-produced items made widely available to consumers. From there, we moved into the age of the brand, with consumers given the choice of a number of different products and their related benefits. With the proliferation of competing brands, organisations realised they could differentiate by improving the quality of the service they provided and including value added services as a way to leapfrog their competitors. If we thought the twentieth century saw rapid change, in the last 20 years the world has been turned on its head. Fuelled by the rapid development of internet, social media and mobile technologies we have well and truly entered the age of the consumer. Competition is coming from new and distant corners of the commercial landscape and organisations are moving from service to experiences in order to capture customer mindshare and drive loyalty. One such company is Ikea that built a climbing wall out of its own furniture at a new store opening in France and opened a pop-up restaurant in London for customers to entertain 20 friends of their choice – in an Ikea kitchen of course! Ikea believes that by connecting customers to the experience of building and using their products they create a more intense, more emotional, connection. Customer expectations are also continuing to rise. Customers no longer simply compare competing products, they also look at what suppliers in other sectors can do. They ask if Amazon can organise next day (or even same day) delivery why can’t my bank fulfil my request for a new product or service in 24 hours? The better that some organisations have become at providing good products and services, the less tolerant consumers have become of the performances of weaker competitors. Even some well-established brands have seen their long-standing customer base become increasingly disloyal, a good example being Marks & Spencer clothing. The fact is that today, simple satisfaction is no longer enough for organisations wanting to drive profitable growth. 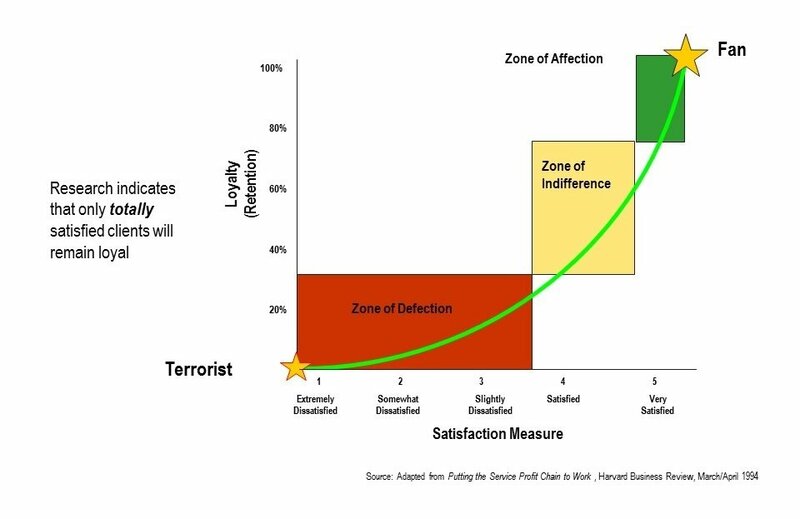 Nothing shows this better than the landmark research by Heskett in 1994 that shows the relationship between loyalty and satisfaction. Most significantly, the study shows that there is no straight-line relationship between loyalty and satisfaction. In competitive industries roughly 25% of customers will remain loyal to a brand when ‘satisfied’, however to achieve 70-80% customer retention, organisations need to ensure that their customers are ‘very satisfied’. In the intensely competitive world in which we live, “I am satisfied” no longer means “I will stay”. With consumer expectations rising and an ever more competitive world, it is clear that organisations need to find better ways to meet their customers’ requirements so that they become truly loyal…….so that they become “fans”. So, to address the question in the title, if customer satisfaction is not enough, how does an organisation go about creating fans? Be clear about ‘purpose’ and who target customers are. Simon Sinek in his TED talk speaks about the power that leading companies unleash because they are clear about why they exist and the difference they make for their customers, their employees and the world. Being clear about ‘why’ helps identify the customers the organisation will appeal to. Trying to be ‘everything to everybody’ is a dangerous place to be. Many companies do not know who their most profitable (and potentially profitable) customers are – the most successful do and they focus on understanding and driving value for these critical customers. Be clear about where value is created for target customers. One of the biggest dilemmas we hear senior executives articulate is where do I invest in order to drive higher levels of customer satisfaction. Do I spend money improving my call centre, refurbishing my retail stores, training my staff or upgrading our product range? Research, focusing on target customers, helps organisations understand which customer ‘touch points’ are of greatest importance and where the ‘moments of truth’ that offer the greatest opportunity to establish an emotional bond are. Build customer focus into the DNA of the organisation. The 64,000 dollar question is how do you keep this all going? How does a company that has managed to chart a path to competitive differentiation stay ahead? Burning customer focus into the ‘everyday’ of the organisation comes from establishing the right behaviours, developing processes and technology that support the strategy, training, coaching and most importantly leadership to shape and embed a customer culture. We will talk more of these in coming posts. By John Aves| 2018-02-14T10:03:03+00:00	September 13th, 2016|Blog|Comments Off on If customer satisfaction is not enough, how do we create fans?